Game Of Thrones has become a fill-blown cultural phenomenon. The show, based on George R.R. Martin’s Song of Ice and Fire series has transcended it’s fantasy origins and crossed over into the mainstream. There are now 2 types of people – those who watch Game of Thrones and those who do not. If you do then you may want to pick up Inside HBO’s Game of Thrones II: Seasons 3 & 4. The book by C.A. Taylor is the follow-up to the 2012 behind-the-scenes book by Bryan Gogman which covered the first two seasons of the show. This new edition (as the title implies) covers seasons three and four, delving deep behind the scenes and digs up plenty of interesting information. Any making of tome runs the risk of being style over substance, but Inside HBO’s Game of Thrones has real depth to what it presents. The show’s creators David Benioff and D.B. Weiss deliver the forward, whilst the cast and crew have their say on events and characters. These are interesting insights that look at the world of Westros and they illustrate how the actors tackle their roles on a show that is so rich with characterisation. Nearly every member of the show’s cast has something to say about their role on the show. Taylor’s book also looks at how the show is created from Belfast to Crotia and Iceland, picking key moments in the show and shining a technical light on them. The scope of the show is huge and the book couldn’t possibly cover every episode but there’s more than enough detail on display here. You can learn about the creation of the now iconic opening credits sequence and learn what composer Ramin Djawadi has to say about the music. 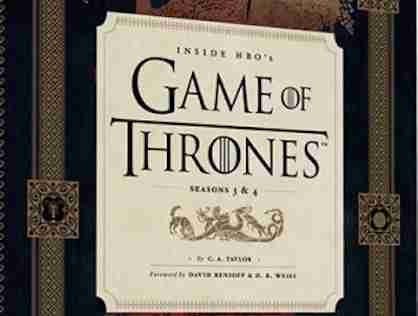 Inside HBO’s Game of Thrones II: Seasons 3 & 4 is a well presented book, filled with a tremendous amount of information crammed into its 192 pages. This has real weight behind it and it never feels like a light-weight puff piece. 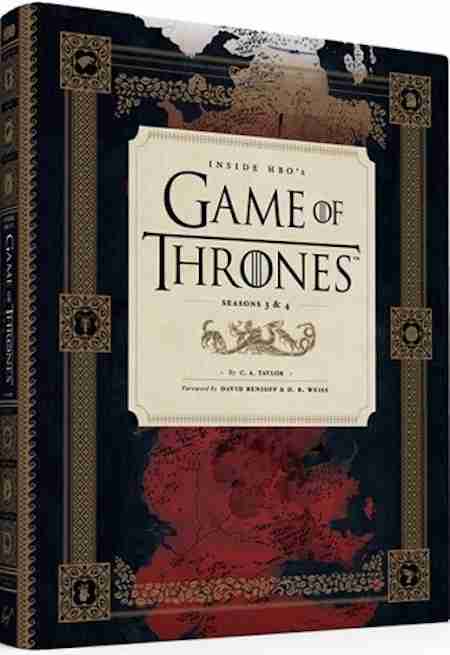 It’s recomnded reading for Game of Thrones fans but be warned – this book contains major series spoilers, so make sure you’ve seen the two seasons before you read.